Finally, the most bizarre Hellboy spinoff is collected in one volume, after four years out of print. 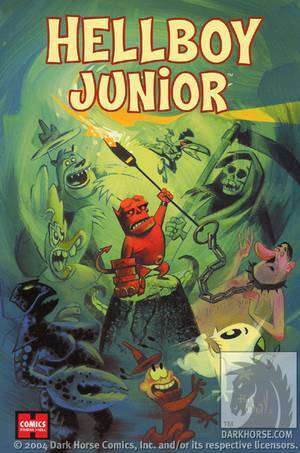 Ren and Stimpy artist and Big Blown Baby creator Bill Wray joins with Mignola and a great lineup of humor cartoonists to reimagine a young, diaper-clad Hellboy and a host of other twisted children?s characters. Includes the outrageous Mignola-drawn tale Squid of Man and many others.